Happy Birthday Elvis...January 8, 1935. . 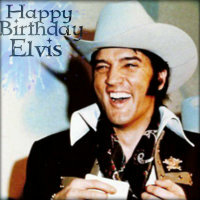 Images in the Elvis Presley club tagged: photo happy birthday elvis presley january 8 1935. This Elvis Presley icon contains fedora, merasakan topi, homburg, stetson, trilby, hat dirasai, stetson koln, topi kempen, and kempen topi. There might also be snap topi sesak, snap menawarkan pelbagai jenis topi, porkpie, topi porkpie, porkpie hat, tukang perahu, leghorn, panama, panama hat, kelasi, skimmer, topi jerami, boater, and shamsul iskandar. 1958 Elvis Presley Film, "King Creole"